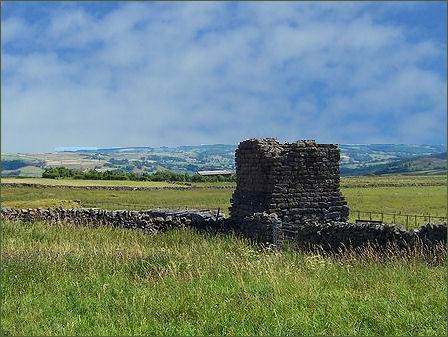 Toft Gate Lime Kiln is a largely intact piece of Nidderdale's industrial heritage which is situated on Greenhow Hill around 2 miles from Pateley Bridge. 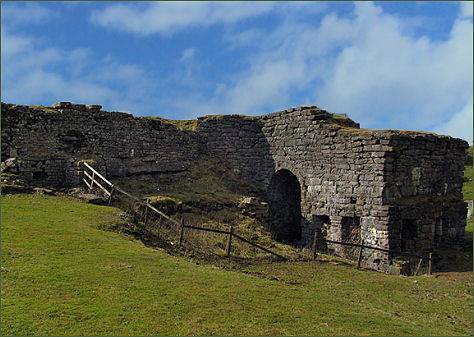 Much of the Toft Gate Lime Kiln itself has been uncovered to reveal the scale of work carried out there. The kiln was loaded with limestone through the top and with coal through the rectangular openings in the end and side walls. A stone lined flue runs from the kiln up a slope to the chimney base in the distance. Here, limestone dug from the nearby hill was heated to produce quicklime for local agriculture in the nineteenth century. A car park is provided, which is shared with the Coldstones Cut, on the outskirts of Greenhow village.